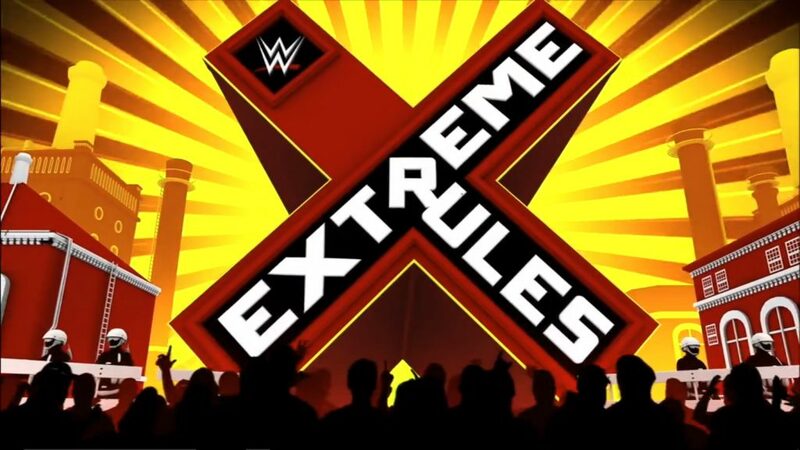 Tonight, the RAW superstars go to the extreme. Buildup for the IC Title match. This was a surprisingly very good match! The need to be extra careful clearly had an effect on how Ambrose wrestled, and it made the match increasingly interesting as it went along. This final segments of the match, when Miz got more and more diabolical and desperate, were a ton of fun. The finish had all sorts of shenanigans, but I enjoyed all of them. What would usually be a bunch of aggravation was turned into a lot of fun because of the stipulation. Charly Caruso welcomes Bayley. Bayley says she’s been getting ready by watching Tommy Dreamer, Sandman, and Steve Blackman. She’s also been inspired by Wonder Woman and is ready to get her title back. This was pretty good. It was a little short for a PPV, but it was fun. The pace was high, but there wasn’t a ton of continuity since each tag forced both competitors to leave the ring. I was hoping for a little more, but it was an alright match. Elias Samson is in the ring. He has a question: who wants to walk with Elias? Then he sings. This was underwhelming. The Kendo stick was retrieved in about two minutes, and the person who got it didn’t even use it. It all felt kind of pointless, the stipulation, the match, and all the buildup. Hopefully they’ll just put all this behind them and move on to something else. Adam Jones is in the crowd. Pretty good match. I’ll never understand why people try to climb the cage when there’s an unlocked door, but besides that, this was pretty fun. I don’t think it was super tense, but there were a few big moves which is all I really expected (though maybe not all I hoped for). Buildup for the Cruiserweight Title match. Good match. I questioned Neville’s logic of going for the Rings of Saturn when Aries clearly had a knee injury that he’s been dealing with for weeks, but Neville found a way to make it work extremely well. There was a lot of back and forth in this, and I think both guys put on a good match. The next PPV is called Great Balls of Fire. Because. Very good match. Reigns started by letting everyone else fight, then Joe and Wyatt formed an alliance that lasted quite a while. Working together, Wyatt and Joe dominated the match and put everyone else down. Their alliance was eventually broken up and the match descended into chaos. The good kind of chaos. The match got increasingly violent an faster paced at it went along, building to a very good finish. The show was a little uneven. 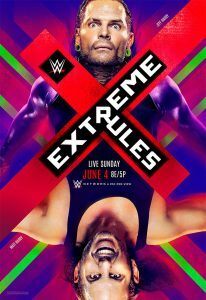 I liked the supreme heel factor of Miz forcing the first match to be the complete opposite of what Extreme Rules is promoted to be, and the match turned out to be quite good, but the match after that took a dip in quality that continued even further with the Women’s Title match. The matches got better from there, but it wasn’t until the main event (and maybe the submission match) for the show to get really good again. Overall, I would say this show was middle of the road, maybe a little below. This was pretty easily the best match of the night. It fit the theme of the show well and delivered without trying to do too much.